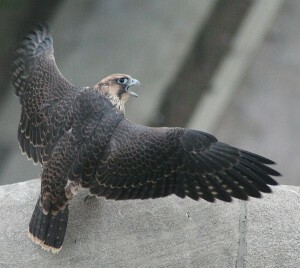 • 2007: Press coverage from March 2007 when Erie killed Pulse in a fight for the Pitt nest site (March 18), plus a Slideshow of the fight captured on the falconcam. • 2016: Slideshows from Pitt and Downtown. • 2017: Slideshows from Pitt and Downtown. Is there someone or a group that is responsible for cleaning out the boxes and repairing the peregrin falcon boxes after fledging. The green outdoor carpet was ripped off from the front of the box and it is full of bird droppings and feathers. They could have removed the carpet when they removed the bird for examination and banding.